USA – Cultivate Informed Creative Research: these four words summarise the mission of the exploratory music composition lab at Baylor University. 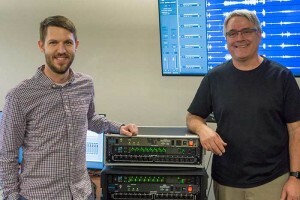 “Our students bring so much to their composition classes, they’ve been studying on their instruments for years, they’ve taken intensive music history, theory, and musicianship courses, and they need an inviting space to freely experiment with all of that background knowledge in new and exciting, creative ways,” explained Dr. Ben Johansen, lecturer in Composition and Computer Music at Baylor’s School of Music. Together with his colleagues in the department, Johansen has been building out that creative space – dubbed “Alinea” – with tools that are not only beautiful sounding, but also unfailingly robust to near-constant usage. 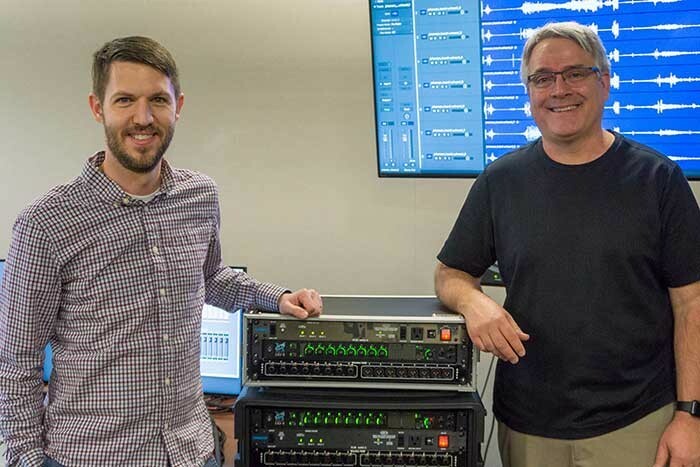 In picture: Dr. Ben Johansen with his colleague, Dr. Scott McAllister, professor of composition, with Alinea’s two LIO-8/8 interfaces.